Give a unique and timeless gift to your favorite guy, Dad, graduate or groomsmen with the sophisticated eel skin money clip. It is available in either black or burgundy, and has a strong magnet that allows you to hold up to 15 folded bills. 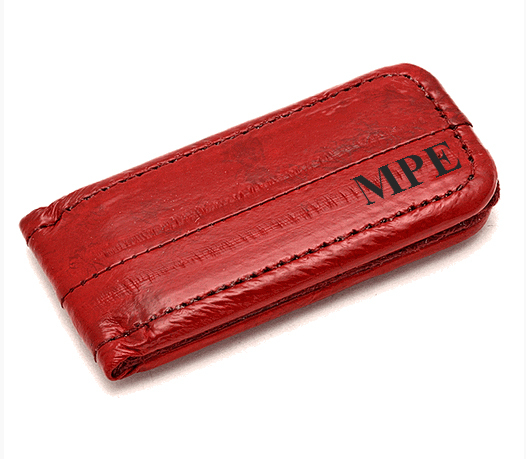 Eel skin is 150 times stronger than leather, so this gift will last a lifetime! 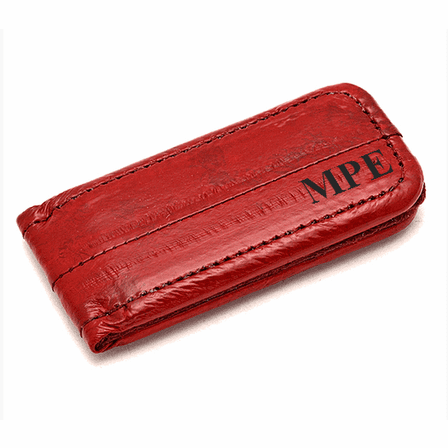 To make it extra special, we will personalize it with hot stamped initials for no extra charge, package it in a gift box, and ship it out within one business day! Dimensions: 3" x 1 1/3" x 1/3"
Is there any way to pay to get the order guaranteed by December 24? No, sorry, shipping to Canada takes at least one week, there's no way to guarantee delivery by Christmas. 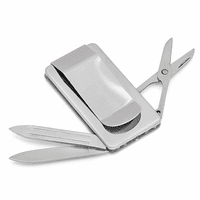 The description says that this money clip holds 15 bills. I assume that means 15 bills folded in half for a total of 30. Pls qualify. Yes, exactly, 15 bills folded in half. Where do I select personalization? On the item page, you'll need to check the Personalize box right above the Add To Cart button. 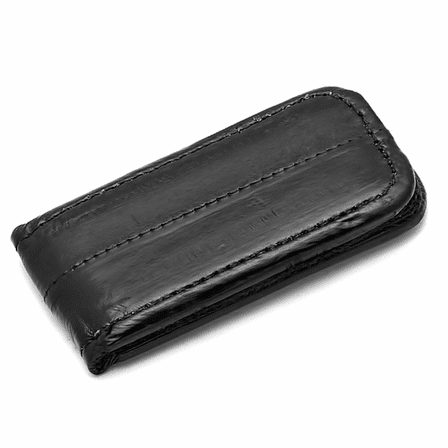 Reaching constantly for my billfold for money or waded up in my pocket got to be irritating. A clip, especially a nice one like this solved my problem. 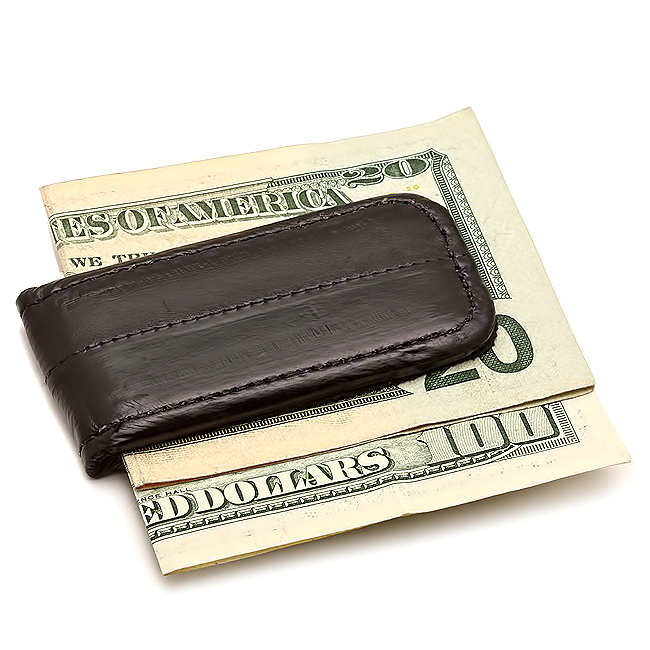 saw the Money Clip. It looked nice and when I received it, I, checked it out and was pleased with it. will be happy with it. Purchased for my partner. Hopefully, the color and texture will keep him from losing another one. I LOVE this money clip. The color is awesome and the magnet is super strong. Thanks!!! 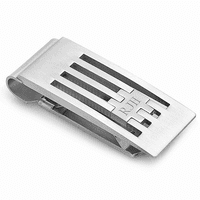 I purchased the money clip for my son on the occasion of his Navy promotion, and also included money in the clip. He loves it, and we were all impressed with the covering of beautiful red leather. Thank you. 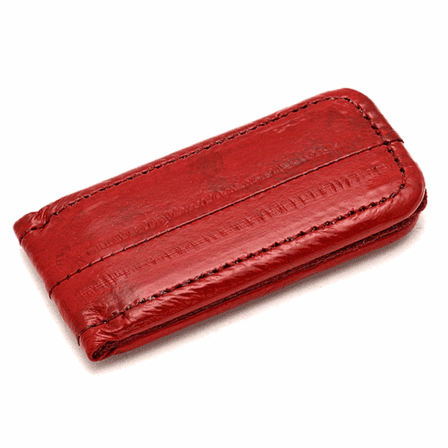 ProsThe red leather was exceptional. ConsThere were no "cons" - we were all impressed. Good price, excellent service, quick delivery. What can be better. 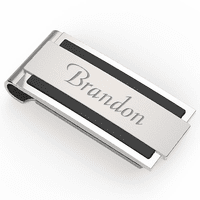 The money clip was a big hit. I bought it for my husband and he loved it. I also had his name engraved on it. The quality was great and well made. I ordered a $19.00 money which I found to have a weak magnet. I called to complain about the weak magnet. I was told that the weak magnet was for people who put their credit cards in the money clip so the magnet would not be so strong as to erase the magnetic strip on the credit card. And they offered to send me at no extra charge a $34.00 money clip with a strong magnet. When the eel skin money clip arrived, I was amazed at the strength of the magnets. I was pleased beyond all expectations. Thanks Executive Gift Shoppe. I will return to make other purchases.